Sample of how a HPV rich media works on a tablet. In the banner shows time regression of the young teenager in an attempt to show to the viewer that it’s still not to late to vaccinate your child for HPV. 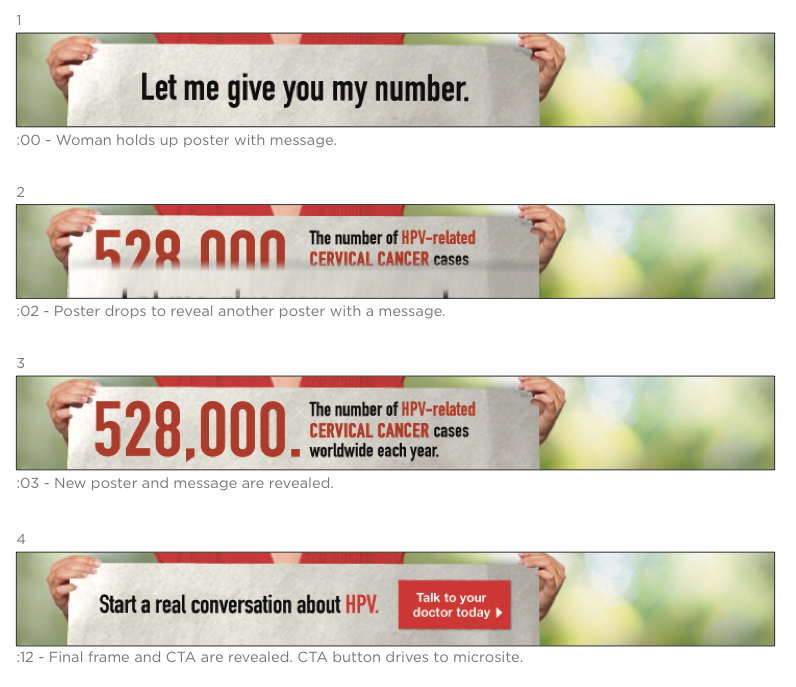 Sample of standard banners used for the global campaigns of HPV. As a teaser, the banner asks the viewer “Do you want my number” and then shows HPV statistics based on per country. 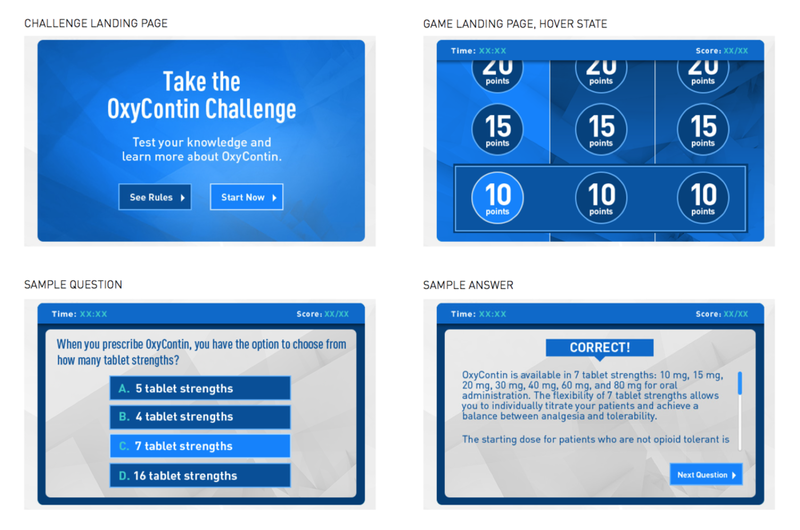 OxyContin interactive html qiuiz comp. Hysingla ER interactive banners. In non-expanded view, there is a simple large pink CTA button with numbers animating downard in the background (similar to the effect seen in the ‘Matrix’ movie). Once the CTA is hovered or clicked on, the banner doubles in size to a detailed Opioid conversion calculator. Meanwhile, the numbers in the background fall down simulating the ‘Matrix’ has been stopped.